I’m thinking about building another one of these, perhaps in a black/burgundy color scheme as seen above. Why? Why not! Last month I ran out and bought one of the new PS3 Slim consoles. You can check out my “tear down” of the unit here. I had some other projects to finish first at the time, but now I’ve gotten around to building a laptop out of this thing. It might still be my fastest project of a new console, I think the Wii was 2 months after launch, this is about 35 days. 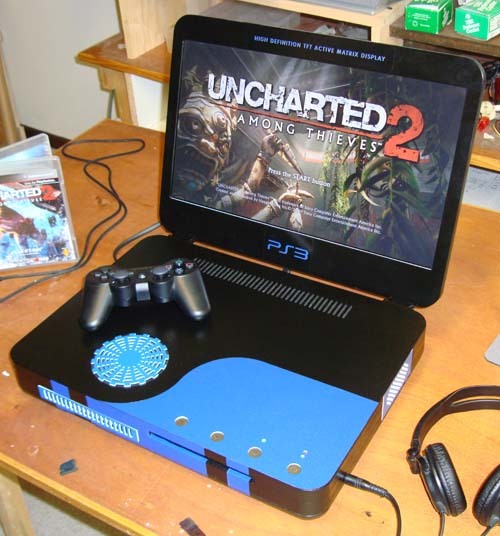 PS3 Slim Hardware, with cool-running 45nm architecture. Very VERY quiet. 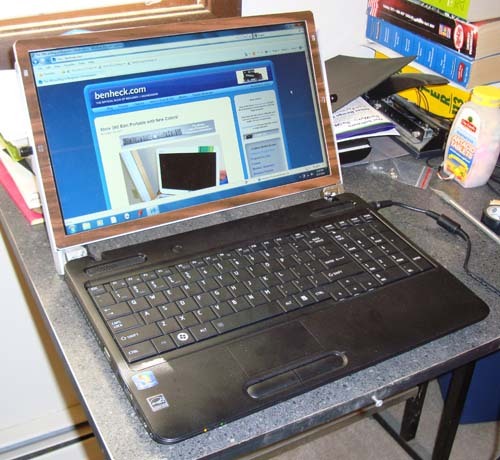 17″ widescreen LCD with HDMI-DVI digital connection. Built-in power supplies / compartment for the AC cord. Push button volume control with stereo speakers. Sleek white monochromatic styling with pin stripes. For the “Making Of” story, pics and video see below. This project somehow has the distinction of being both the longest and fastest portable electronics project I have ever done. 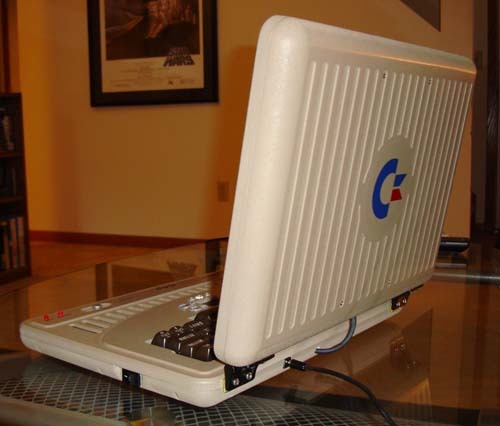 I originally started making a C64 laptop in the fall of 2006, and kept pecking away at it every so often. Finally, a few weeks ago, I said “screw it” and started over. 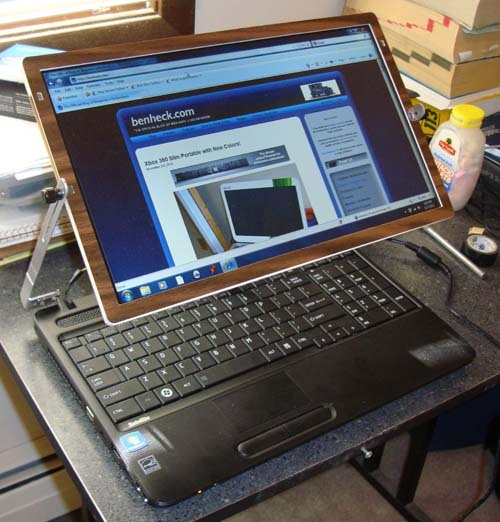 I redid everything in a week and a half – the shortest project ever. (The previous record hold was the Wii portable at 2 weeks) The goal this time was to make something that looked exactly like a computer from the early 80’s, yet in a new form. Including the color beige and texture. Luckily the blue in the logo matches the blue SD card. Not to sound like a TLC host or anything, but that sort of stuff is important in design. Anyway, about the project itself. 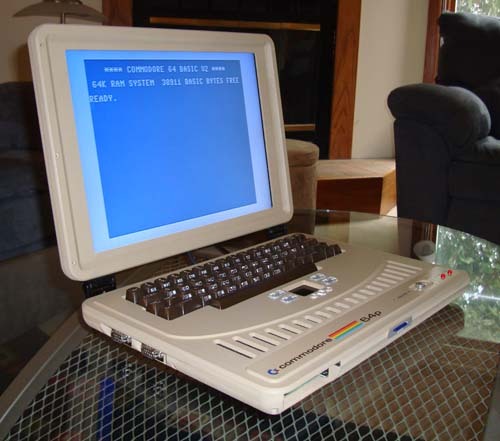 This is a fully functional Commodore 64 laptop using actual hardware, specifically the C64C motherboard which was one of the last and smallest revisions. It uses a Gamecube power supply in place of the original power brick. For storage there’s a device called the 1541-III DTV to “emulate” a floppy drive using an SD card. (Click here for more info) The SD card is formatted FAT-32 so you can dump disk images on it using a PC, and read it with the C64 – pretty cool! For more information, the making-of, pictures and video read the rest of the story below. I am taking a break for a while because I am pretty tired and burned out from all the portable making this winter and spring. If you are interested in projects, hit me up in a month or so. 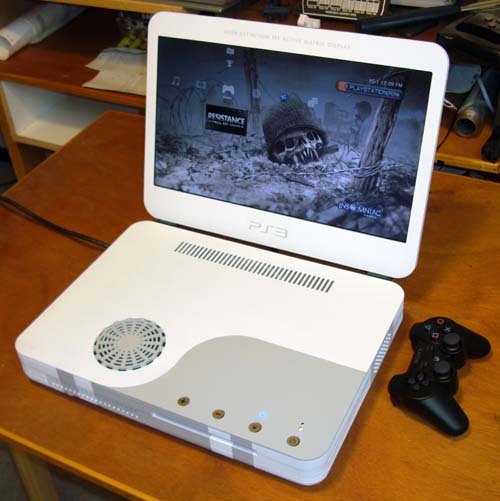 I’ve partnered with THQ to provide a prize in their Darksiders sweepstakes – an Xbox 360 laptop, built by myself and painted by Joe Mad, based off the game. 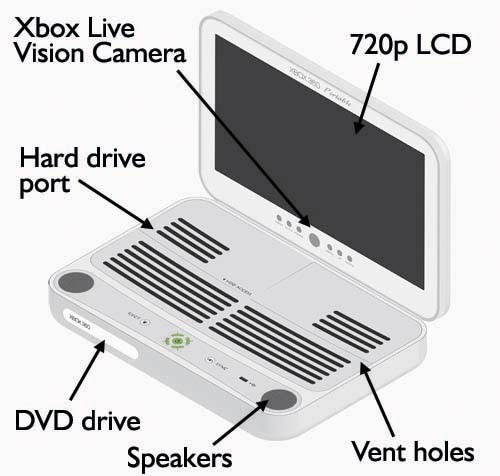 Not only that, but this will be the best Xbox 360 laptop yet! 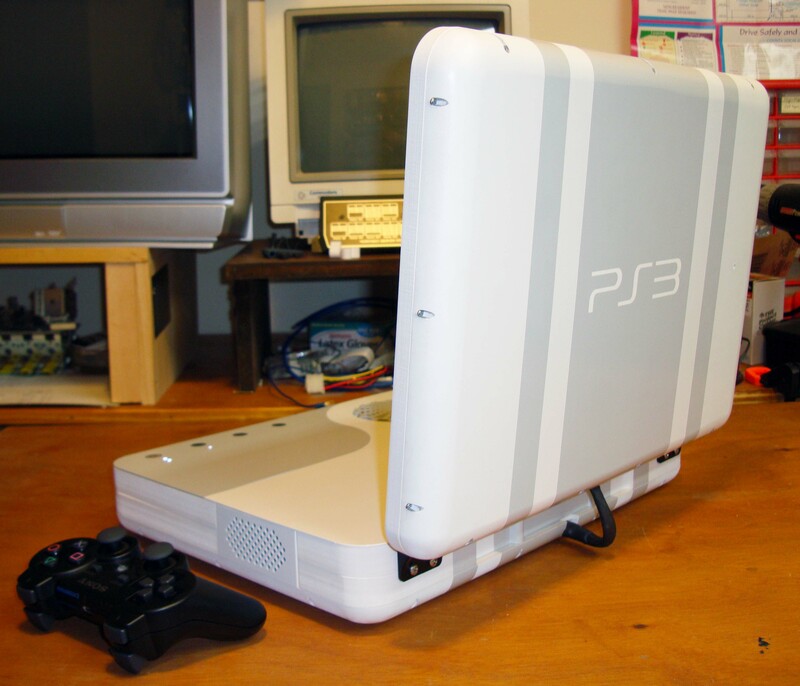 The design features a dock for a full-size, unaltered Xbox 360 hard drive, so you can share data with your home console. Astounding. 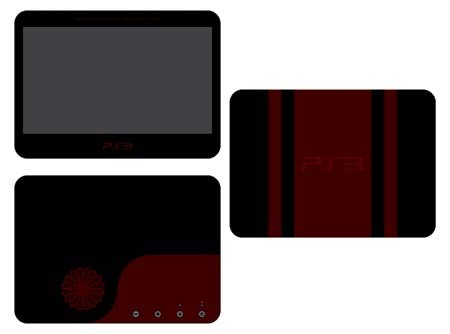 Additionally, both memory card slots are accessible, should you need those for some reason. Other features include the usual built-in WiFi and Xbox Live Vision camera. One big change is lack of keyboard – it’s useless 99% of the time anyway and they have those chat pads for the controllers as it is. Contest ends in October I believe, so by all means head on over to their site, take a look around, and get entered. Thanks to Adam King at THQ for providing myself and the community this opportunity!